I always use a lot of slides (mostly picture slides with very, very little text) and I do like some graphs if they are easy to understand. But when it comes to a business presentation, there are really only four slides that mean anything to your audience. And your presentation is all about your AUDIENCE so you need to give it to them. Or suffer the consequences. Let me use President Kennedy’s Address at Rice University as an example. You probably know it well. You can skip the formality of telling your audience how you got to your conclusion – only a few people really care. Most people just want to know what is going to happen. 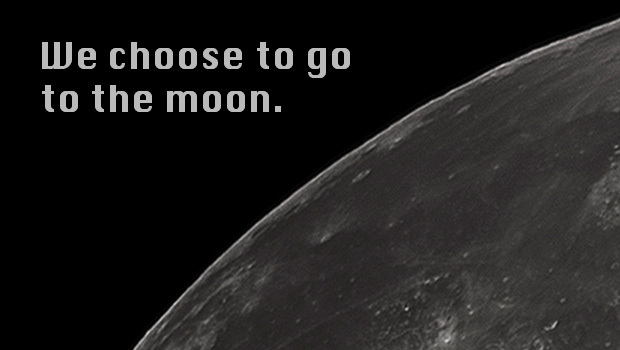 President Kennedy just laid out what we are going to do – go to the moon. Then, of course, if you tell them what we are going to do – all that matters to them is how is this going to affect them. This question will run through their heads until you answer it. If you don’t answer it specifically, they will begin to envision all sorts of scenarios about how they will be impacted (mostly negative). President Kennedy told them what it was going to mean to them. It’s going to be hard but it will organize them and give them a measure of accomplishment. 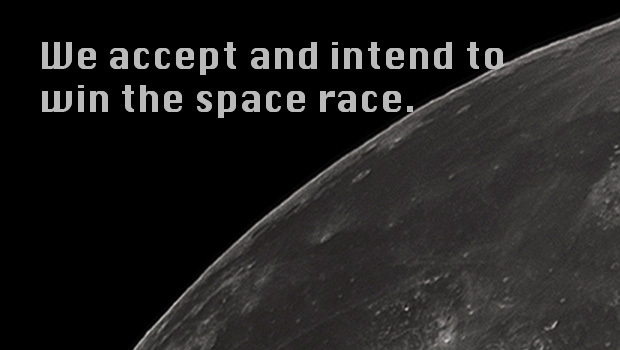 We accept and intend to win the space race. – Photo courtesy of NASA. This is why they are listening in the first place. You know, because if they don’t think there’s anything in the presentation then they aren’t going to be present in the room (they will be looking at their phones and answering email or texting or just scrolling through their Twitter feed for something a heckuva lot more interesting than you – they probably won’t find it but at least it’s better than paying attention). President Kennedy told them what was in it for them. You get to win the space race. Bragging rights forever. 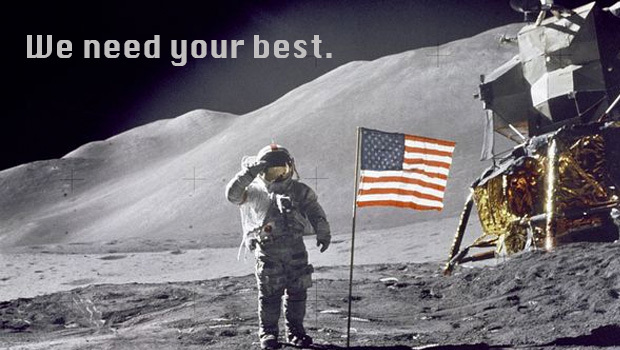 We need your best. 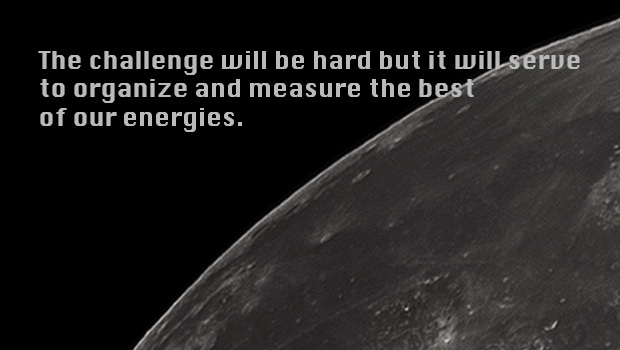 – Photo courtesy of NASA. These are their next steps and I can’t believe how many times I miss this in my decks. It’s just so simple. Tell them what you need from them and they’ll decide if they are going to give it to you. But if you don’t put this simple slide in, people will walk away saying, “that was a pretty good presentation” and then go right back to doing what they’ve always been doing. If you don’t have that slide, you can’t blame anyone but yourself. President Kennedy told them what he needed. He needed their best to accomplish this (and the $5.4 billion dollar budget). Now he’s a little vague here but that’s ok. You can tell people that you need their best and then get a bit more specific about what their best means. Did he end with “Any questions?” Many people end with “Any questions?” If you do and you are missing any of these slides above, you’ll get a lot of questions and you’ll be wondering why they didn’t get the answers from your presentation. If you make sure that you have these four slides then you won’t have that problem. BTW, don’t end with the “Questions” slide. You can have a “questions” slide but make sure your last slide contains your key takeaways and your call-to-action (contact me, right?). What slides do you always have in your presentations?